It's the end of the road for numerous Medium Wave services across Europe, with further public broadcasters turning off broadcasts on the waveband. Germany's DeutschlandRadio is closing its Medium Wave transmitters at just before midnight local time, bringing its distribution of Deutschlandfunk (DLF) on AM to an end. The German shipping forecast, previously broadcast on 1269 kHz, will now only be available on digital platforms on DeutschlandRadio's "Dokumente und Debatten" channel. The move reflects the fact that sea vessels increasingly use modern satellite and mobile technologies to access weather data. 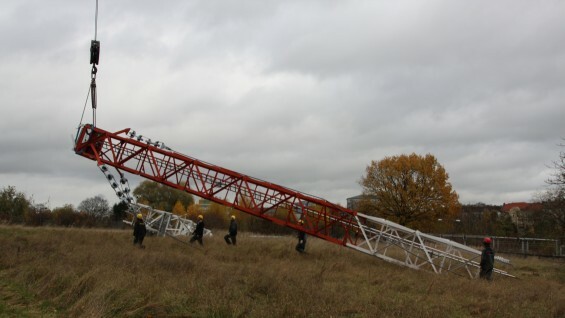 Numerous other German Medium Wave services have closed during 2015. In addition to Deutschlandfunk, Antenna Saar on 1179 kHz is also departing MW. America's AFN will become the only Medium Wave service surviving into 2016 in parts of southern Germany. France's Europe 1 station, broadcast from southwest Germany into the country on Long Wave continues on 183 kHz. In France itself, all transmissions from France's public service broadcaster on Medium Wave are ending. Long Wave transmissions on 162 and 216kHz will continue until the end of 2016, as will three smaller Medium Wave stations: Bretagne 5 on 1593 kHz and part time stations Trans World Radio and Radio Maria France: both on 1467 kHz. Luxembourg's 1440 kHz service is also closing. The switch-offs follow The Netherlands' recent cessation of its main radio services on MW. In the UK, Medium Wave switch-off has been relatively slow, but in February, MW services from BBC Radio Bristol and Smooth Radio 1260kHz from the Mangotsfield transmitter serving Bristol are expected to close as the site is cleared ahead of redevelopment. Local DAB coverage is in the process of being boosted in the area. A new DAB site serving the west if Bristol and Nailsea has recently gone live, with further sites to follow early in 2016. Since the 1920s, Medium Wave has been used to distribute radio services. With the expansion of DAB and other digital platforms coinciding with budget restraints affecting numerous public broadcasters in Europe, more and more broadcasters say its financially unviable to continue serving the dwindling numbers of AM listeners. And in Germany, the authority responsible for handing out money to public broadcasters even demanded the closure of AM services - here FM has been the dominant radio band since the 1980s. Bavaria's BR is reportedly saving €300,000 a year on electricity costs thanks to the closure of its Medium Wave services, freeing up money to expand its multi-station DAB service. In France, FM transmissions will complement DAB coverage to ensure affected listeners can continue to listen to their favourite station. And in Germany, a massive rollout of national DAB is underway bringing DeutschlandRadio's existing analogue services alongside its digital-only channels to more places in the coming year. A small number of older listeners and radio enthusiasts have protested against the closures. But,is Gold going to continue on 1548 MW?Sunrise on 1458? it d fun to have them while driving at night in Languedoc! and RTL France on 234 LW? I was brought up listening to AM broadcasts, but all good things have to come to a end, I have not listened to any AM Medium Wave for now over 5 years. When I look at Youtube and see those transmitters falling to the ground it makes me a bit sad. However, those foreign stations I used to listen to on Medium Wave at night from the liking of Germany, France, Netherlands and Switzerland and can listen to all day and night on my Internet Radio, Smartphone or Laptop, still its a bid sad to see the end of AM broadcasting.